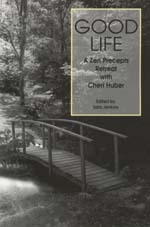 For twelve years, Present Perfect Books published titles on Buddhist meditation practice. In 2000, Sweet Zen won first prize in the spirituality category of ForeWord magazines Book of the Year contest. Present Perfect Books no longer accepts manuscripts for publication. 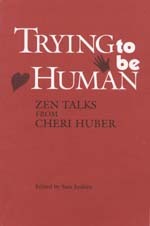 The titles marked with an asterisk below are available through Keep It Simple, which supports the work of Living Compassion and the Zen Monastery Peace Center. Sweet Zen offers an unusual approach to meditation practice: emphasizing simple kindness to oneself as the means of developing compassion for others. The talks, which address ordinary concerns in contemporary life, are short and clearly focused. The meditation practice described is a technique rather than a belief system and can be usefully applied within any religious tradition. 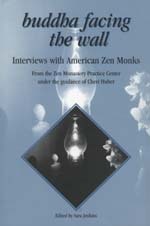 Seventeen Zen monks respond to the questions, What brought you here, and what is it like? 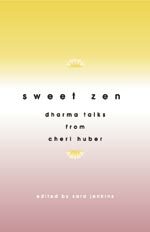 Their teacher, Cheri Huber, answers, too, in an interview about her own spiritual path and monastic training. Engaging discussions of how to transform real-life difficulties into freedom. The precepts help us see what keeps us from the natural joy of being wholeheartedly who we are. 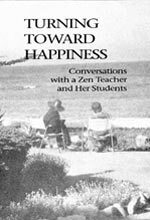 Down-to-earth descriptions of meditation practice in the words of long-term Zen students, five people living as Zen monks, and the teacher herself. A memoir of love, written by a woman who interrupted an unusual life in a Buddhist monastery to return home and become a full-time caregiver. 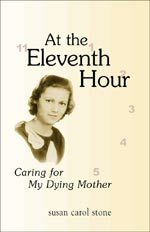 Dedicated to all those who are and will be caregivers, this book offers a compelling perspective on living a spiritual practice in the ordinary and extraordinary circumstances of a parent’s dying. One of the few women of her generation to devote herself entirely to the pursuit of meditation, Dipa Ma attained profound levels of insight in an astonishingly short time. As the teacher of Sharon Salzberg, Joseph Goldstein, and Jack Kornfield, Dipa Ma profoundly influenced the development of insight meditation practice in the West. 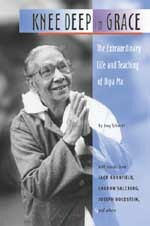 Dipa Ma taught that anyone can walk the path of awakening, and that meditation cannot be separated from daily life. Most of these titles are available for donation to prison and other programs—send request to Sara via email.